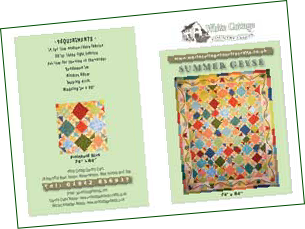 A large quilt consisting of just squares and flying geese units for the centre and a pretty tulip and star appliqued border set on a pieced background. 16 Fat ¼m’s of the medium/dark fabrics. 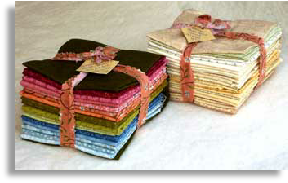 30 Fat 1/8m’s of a selection of light fabrics. Feel free to add more fabrics. 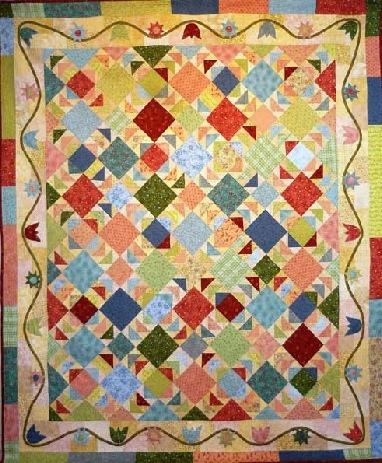 As with any scrap quilt, the more the merrier!